Sort the photos by their colour with these self-checking cards. Develops colour recognition, sorting and fine motor skills. 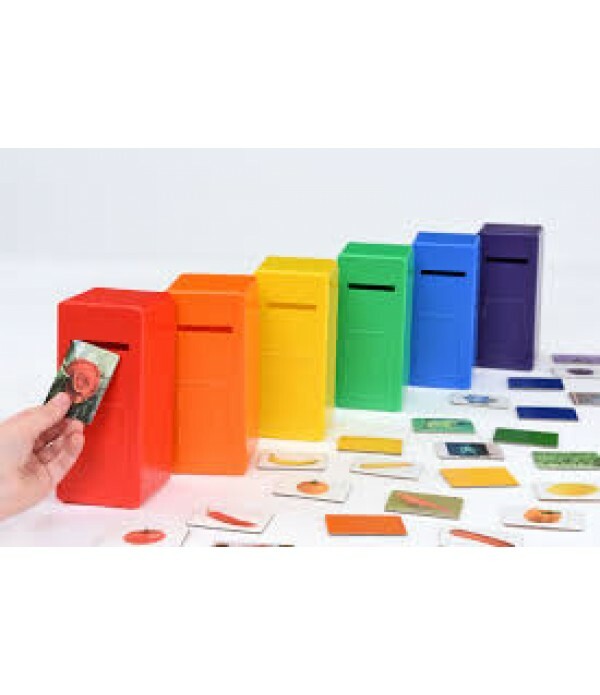 6 brightly coloured post boxes (red, yellow, blue, green, orange and purple). 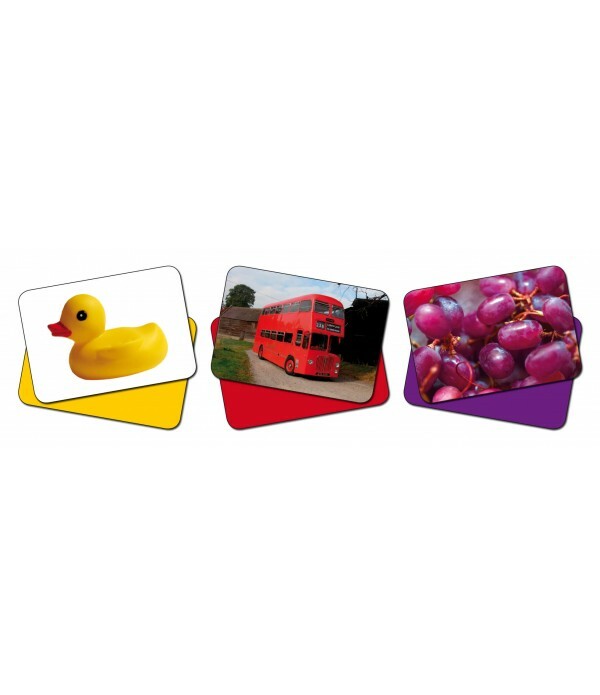 60 double sided posting cards with real life photos. The reverse of each card has the name of the colour printed in the corresponding ink. Cards measure 5 x 3.5cm. Post boxes measure 14 x 6 x 6cm.